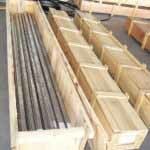 Suppliers and Exporter of Stainless Steel WERKSTOFF NR.1.4845, SS UNS S31008 Heat exchanger Tube, SS 310S Santiary Tube, ASTM A249 TP 310S Stainless Steel High Pressure Tube, SS 310S Cold Rolled Coiled Tubinf Supplier,Stainless Steel 310 Instrumentation Tubes. Ganpat Industrial Corporation is one of the pioneer distributor & supplier for high quality Alloy 310 / 310S Tubes, which is one of the most common man-made materials in the world, with tons of it produced annually. Qualities of Stainless Steel 310 Seamless Tubes include such things as the hardness, quenching behaviour, need for annealing, tempering behaviour, yield strength, and tensile strength of the resulting steel. The increase in the strength Stainless Steel 310S Welded Tubes as compared to pure iron is only possible by reducing iron’s ductility. Stainless Steel 310 ERW Tubes is often produced in bloomery furnaces for thousands of years, but its large – scale, industrial use only began after more efficient production methods were devised, with the production of blister steel and then crucible steel. This was followed by the Siemens – Martin process and then the Gilchrist – Thomas process that refined the quality of Stainless Steel 310S EFW Tubes. 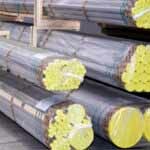 With their introductions, Stainless Steel 310 Round Tubes steel replaced wrought iron. Further refinements in the process of Stainless Steel 310S Square Tubes, such as basic oxygen steelmaking (BOS), largely replaced earlier methods by further lowering the cost of production and increasing the quality of the product. Stainless Steel 310 Rectangular Tubes is generally identified by various grades defined by assorted standards organizations. The carbon content of Stainless Steel 310S Electropolish Tubes is between 0.002 % and 2.1 % by weight for plain iron – carbon alloys. Stainless Steel 310 Bright Annealed Tube, Stainless Steel 310 Seamless Tubes, Stainless Steel 310 Welded tubing, SS 310 Polish Tube, GOST 20Ch23N18 Tube, SS TP310 Seamless Tubing, TP310 SS Welded Tubes Manufacturer in India. 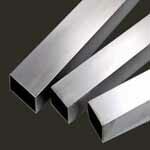 Stainless Steel 310/310S Seamless Tube may be furnished bare or coated and with capped ends. tubes up to 3” OD will be supplied in bundles. In order to prevent rust during sea shipment, bundles of Stainless Steel 310/310S Seamless Tubes may be wrapped with polypropylene sheets, and secured with flat steel bands. Over 3” OD will be supplied loose.